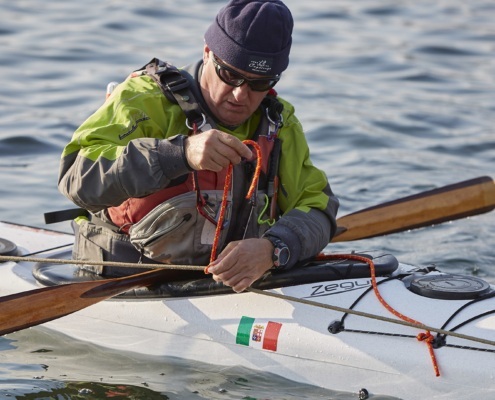 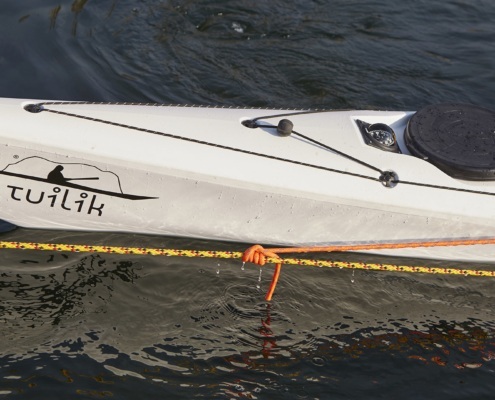 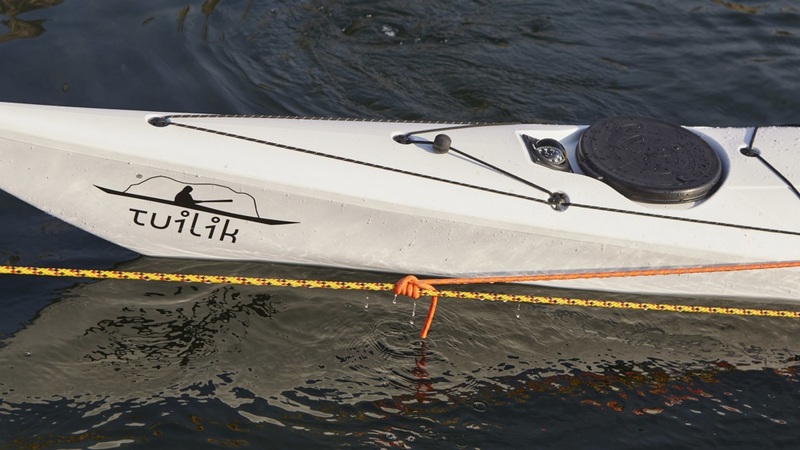 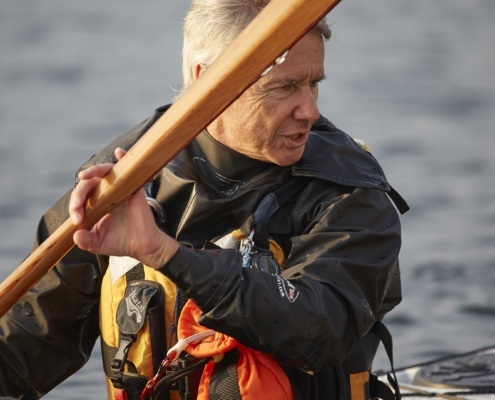 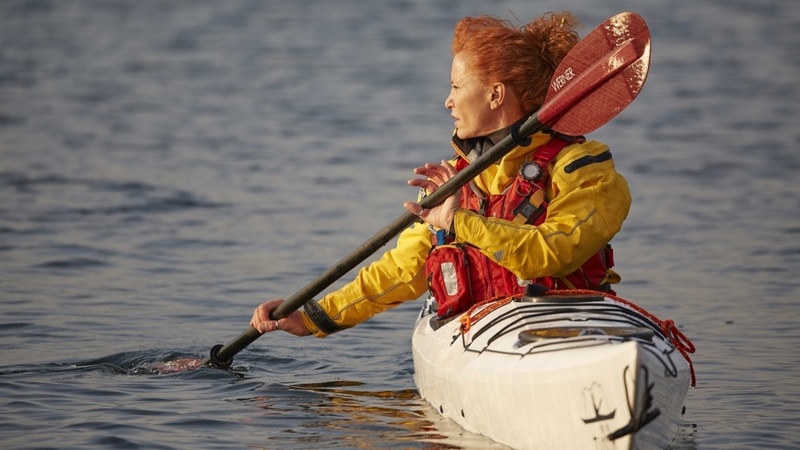 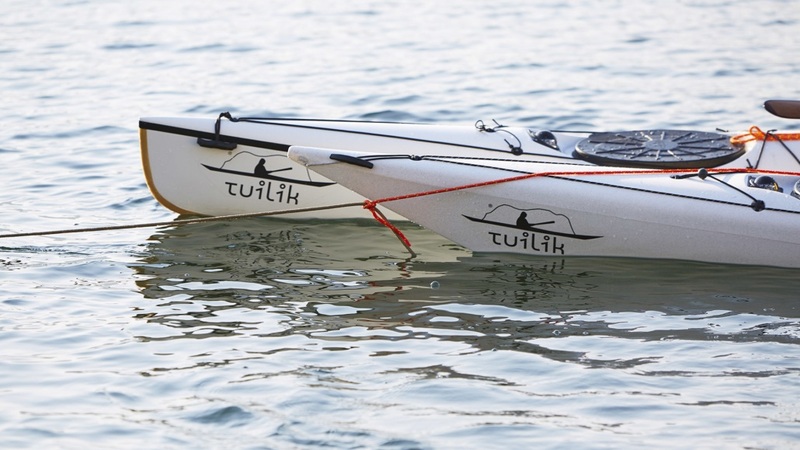 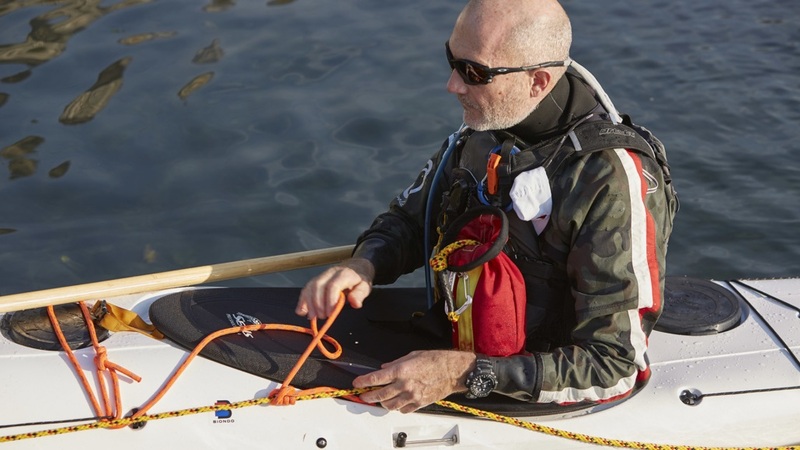 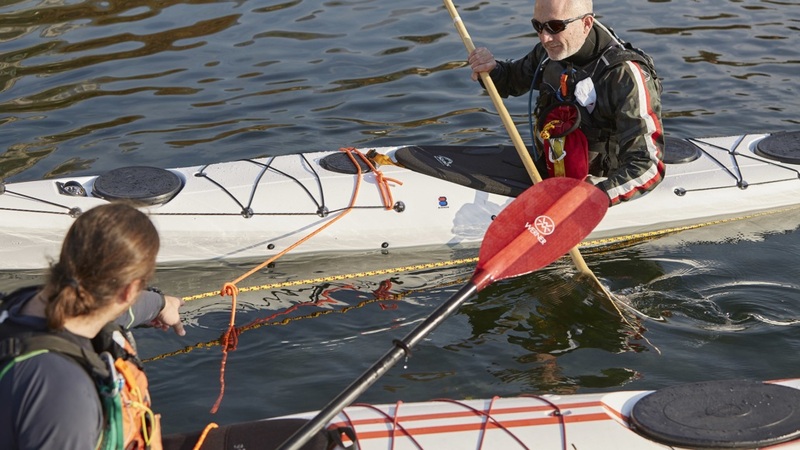 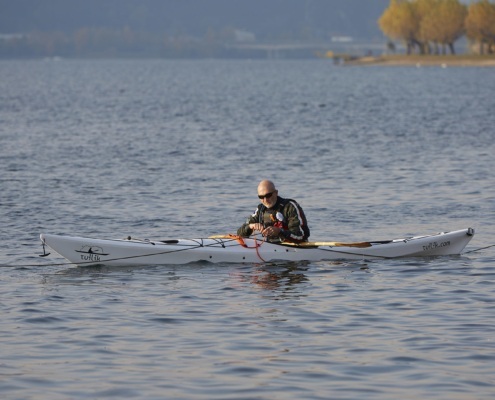 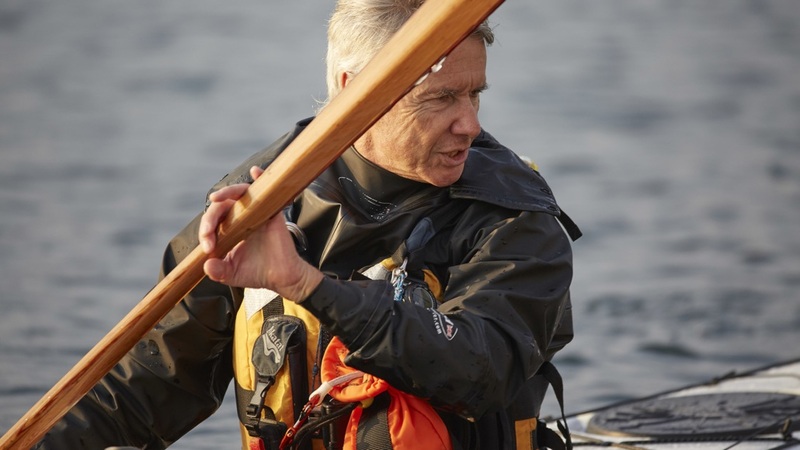 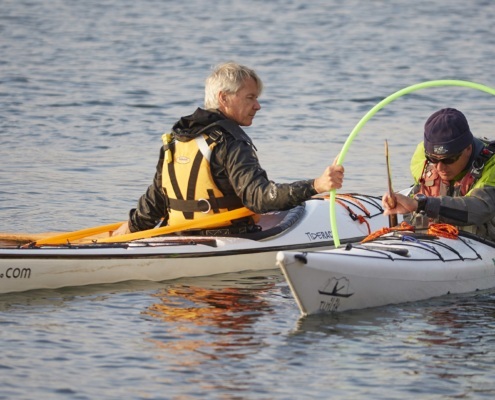 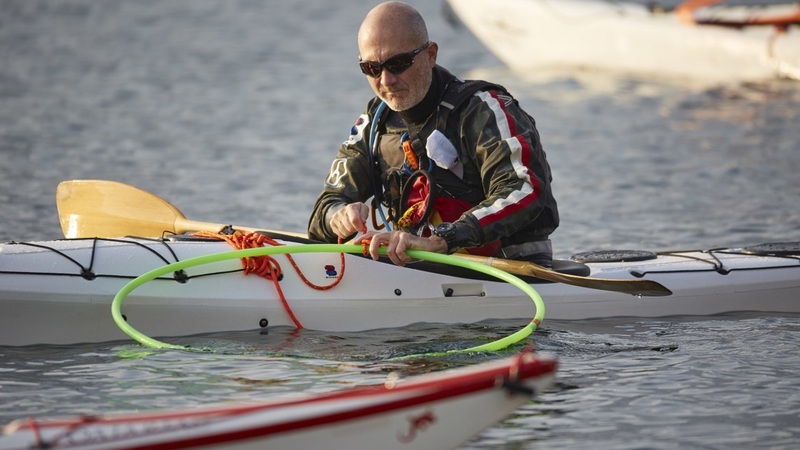 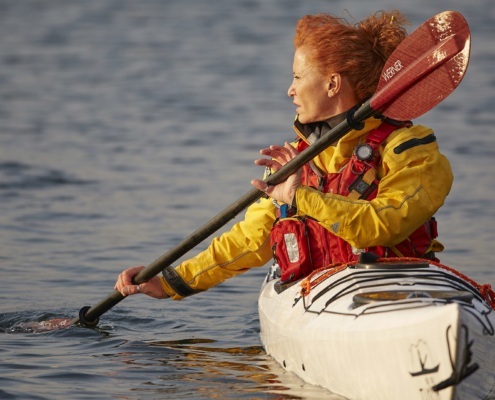 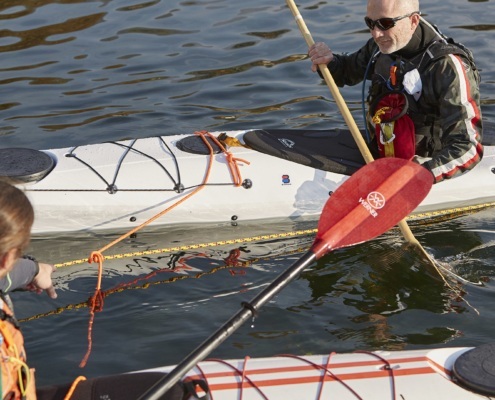 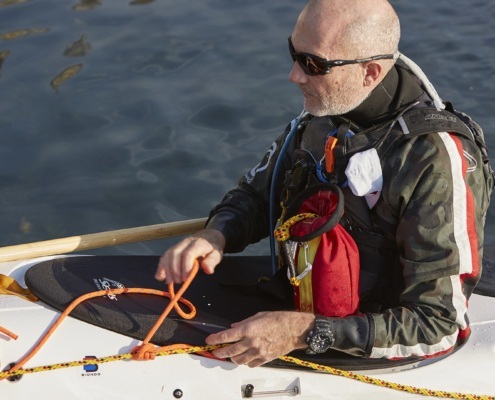 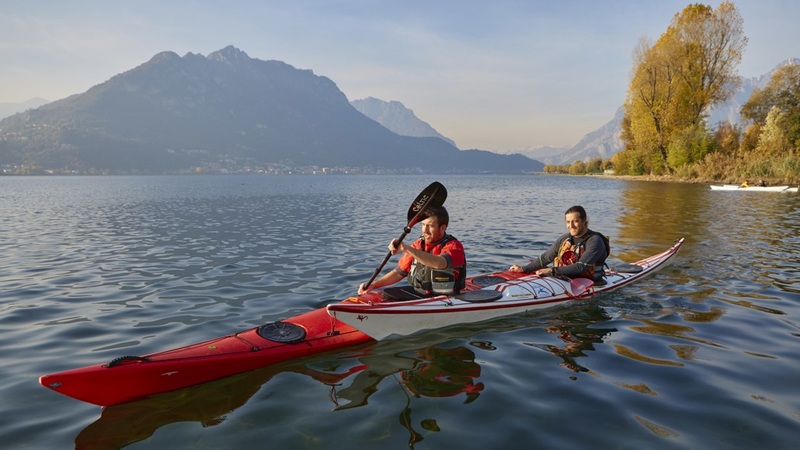 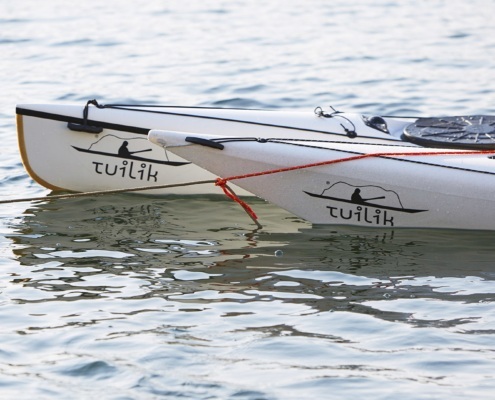 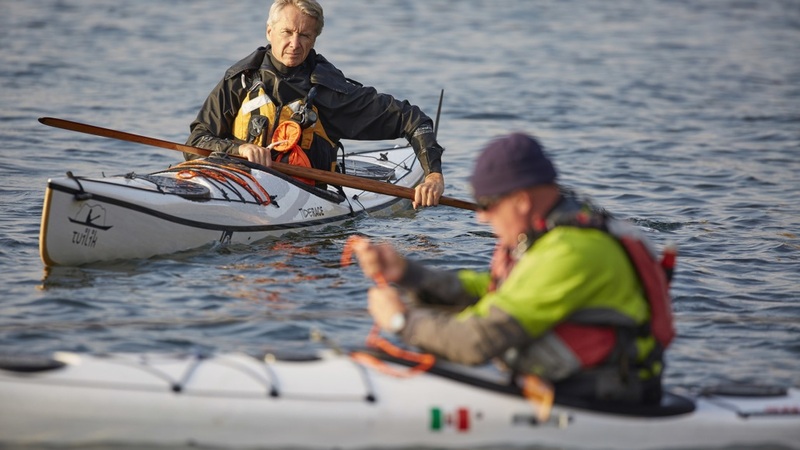 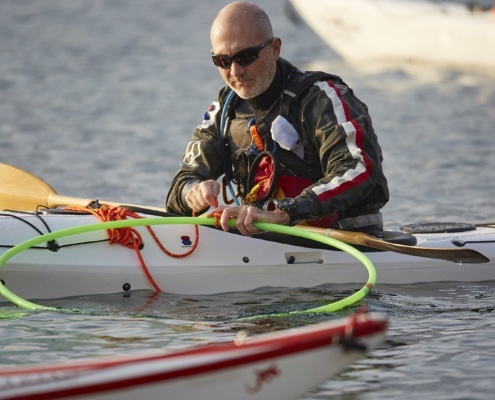 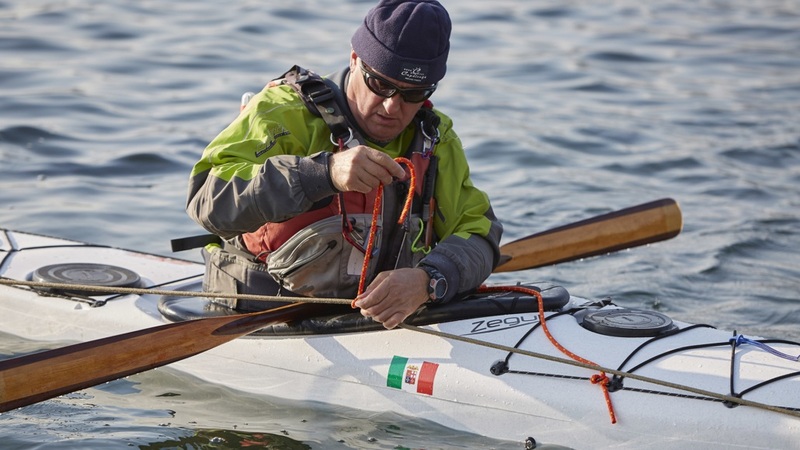 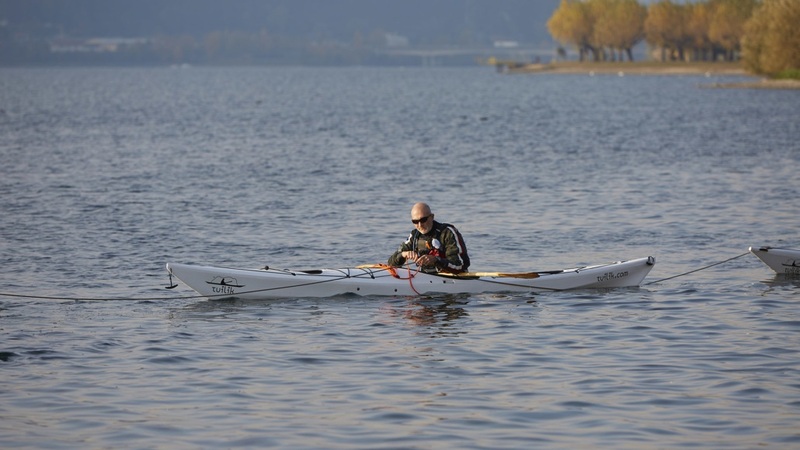 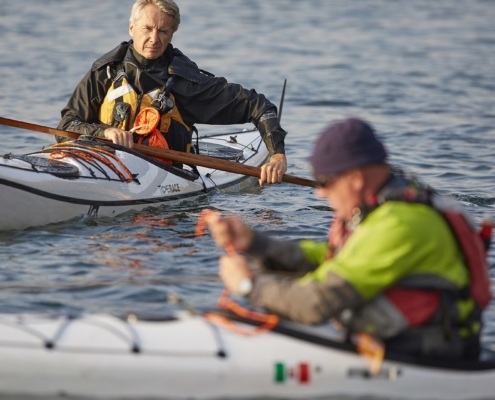 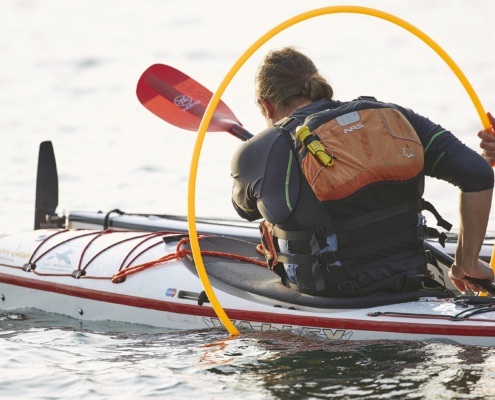 One day course to exercise how to secure a kayak to a rack, a trailer or to a boat at sea. 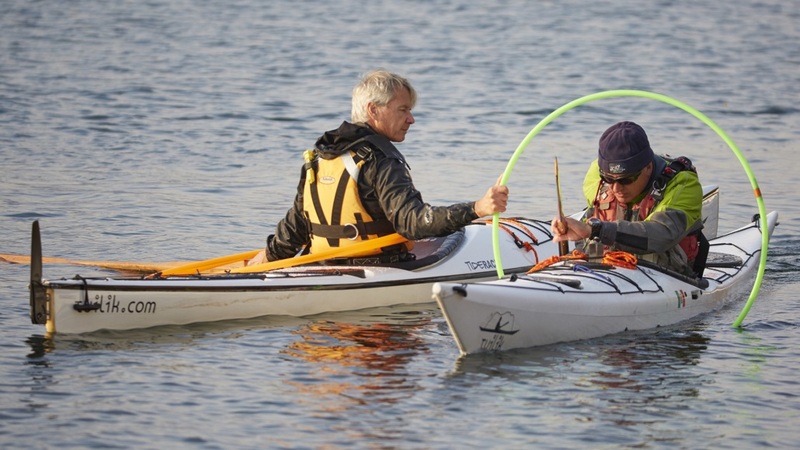 How to organize a tow or join to help another kayaker towing a casualty. 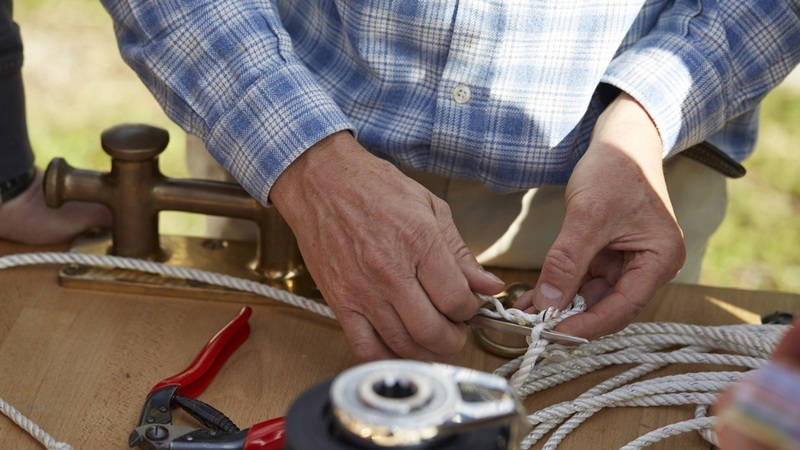 Coil and throw a line properly. 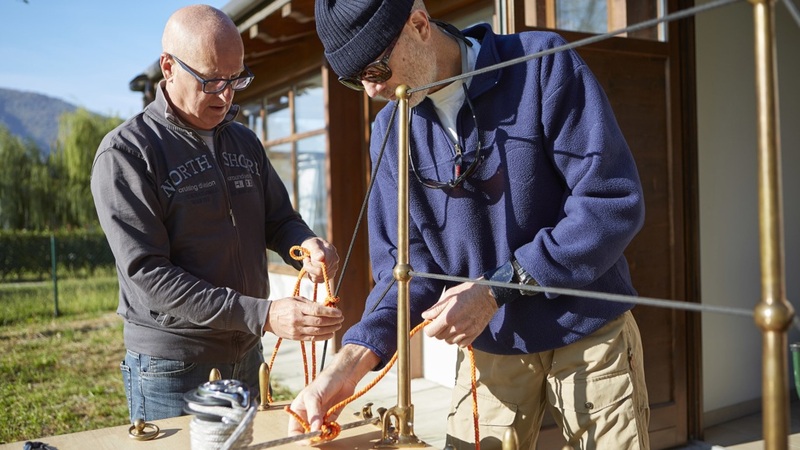 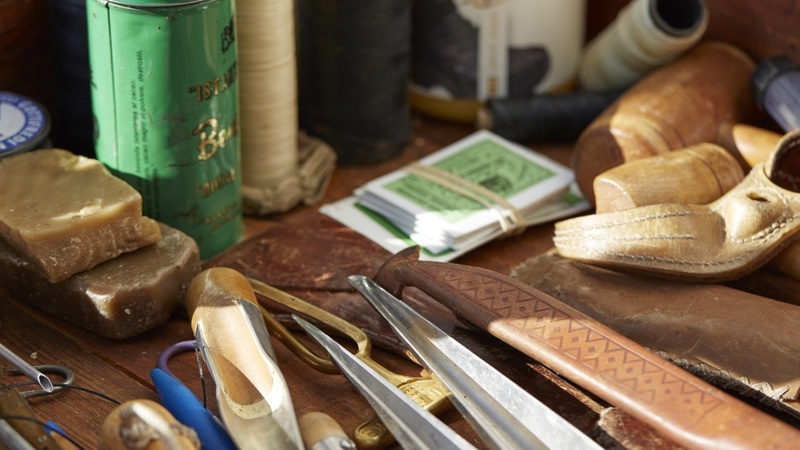 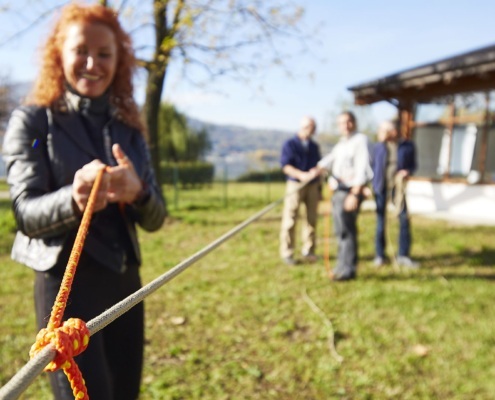 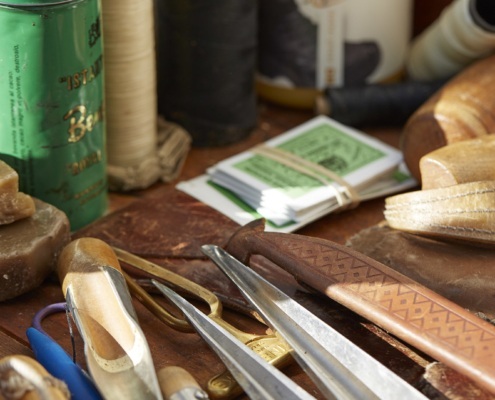 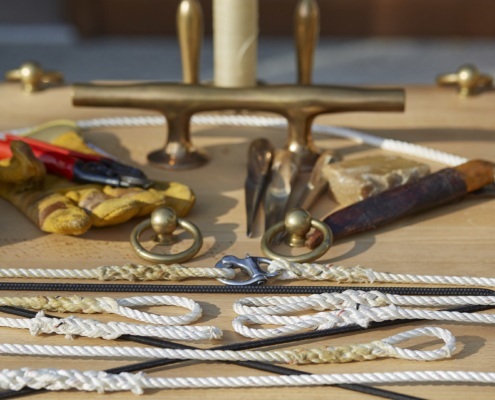 Join two lines with a simple knot or splice. 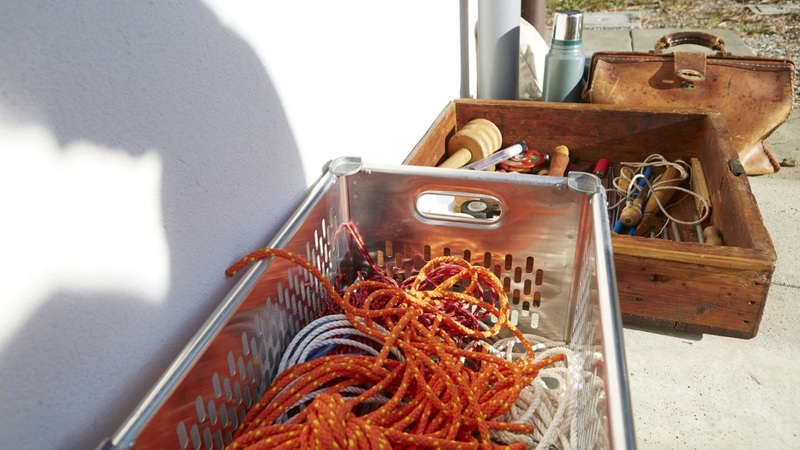 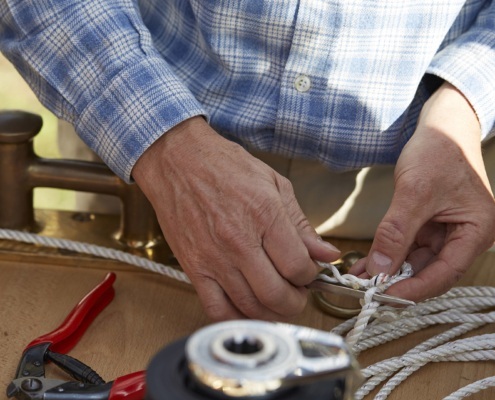 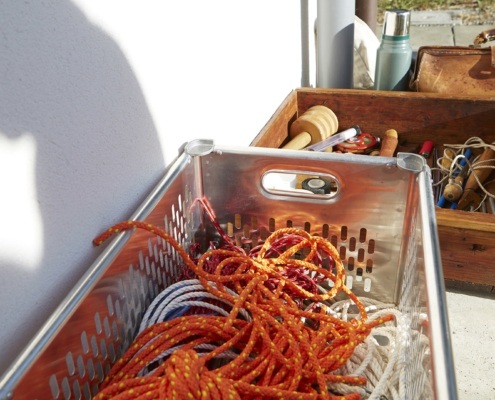 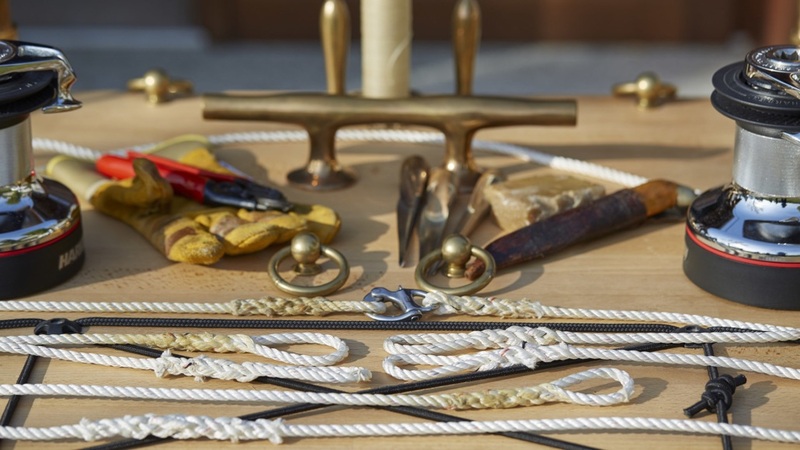 Splice an eye to secure a shackle to a contact line and a lot more. 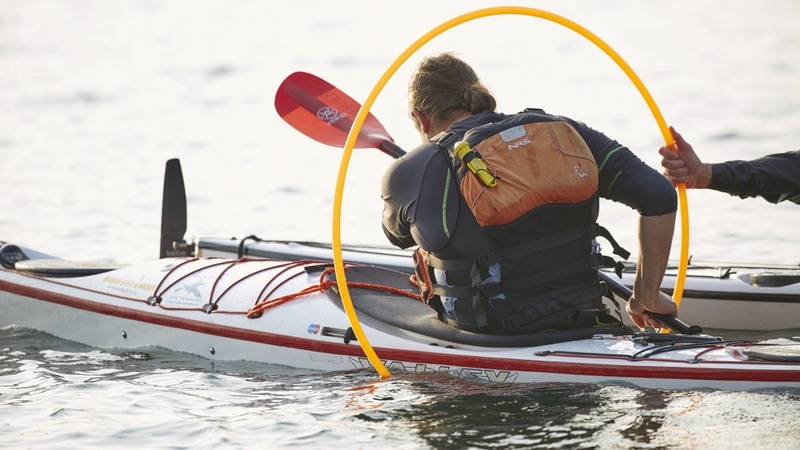 Few stern rudder passages into our hula hoop to keep everybody warm and happy between one knot and the other.